The heat seems to be getting to everybody. I was talking to Kenny and I think we are headed up to Flagstaff for Labor Day Weekend. I try to avoid the traffic by taking the day after a holiday off, so I will be coming home on the 4th. We did some research and found out that the county fair is happening at Fort Tuthill. We are talking walking distance from the campsite to the county fair. We have reserved a campsite (E-14) at Fort Tuthill. Please either go online or call Coconino to reserve your campsite. 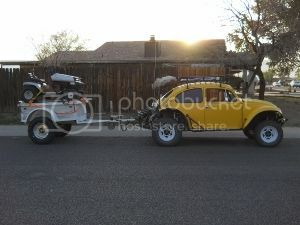 We are planning to enjoy the county fair and do some light off-roading and enjoying the cool weather of Flagstaff. E-mail me and let me know if you are planning to come. This is one of those events that the whole family can participate in. We're defenitly going! Haven't been to a fair in years and I really like the idea of cool pines, and walking distance to the fair! Or from the beer garden back to camp!, you going to the Hassayempa run in Nov Its going to be a blast!